If there were a beauty contest for insects, butterflies would win by a landslide. 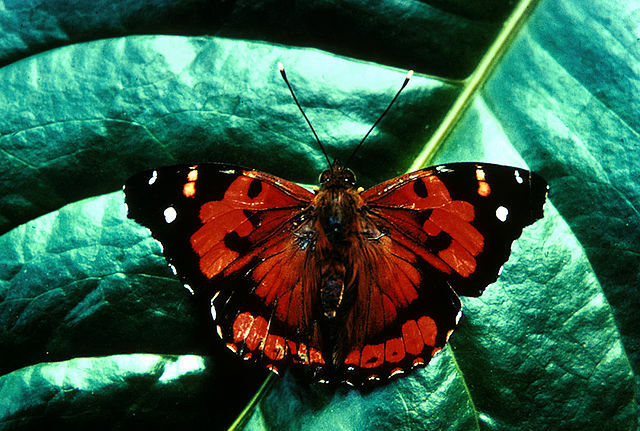 Most butterflies live for only a few weeks in their glamorous, winged stage of life. Most of their lifespan is spent in other stages: egg, caterpillar, chrysalis, then adult (with wings). Monarch caterpillar fattens up on a milkweed plant. Photo by Derek Ramsey, Wikimedia Commons. In the chrysalis stage, the monarch caterpillar transforms into an adult butterfly. Photo by Greyson Orlando, Wikimedia Commons. The female lays her eggs on a plant for a good reason. The caterpillar that hatches from the egg uses the plant as food, eating almost enough for a lifetime. During the chrysalis stage, the caterpillar transforms into an adult. This transformation is called metamorphosis. 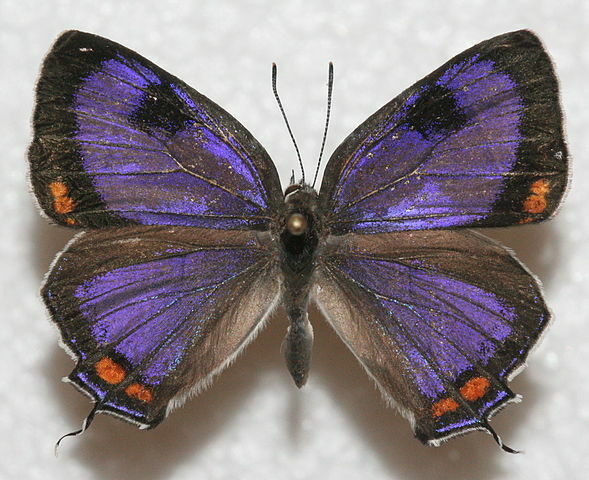 Then, the adult butterfly feeds on fruits or the nectar of flowers. This garden is planted with native flowering plants. Photo by Peter Tosh, Wikimedia Commons. But butterflies and their caterpillars can’t eat just any plant. Many are very picky. They must eat whatever plants have evolved along with them in their own neighborhoods. There are over 45,000 species of butterflies. Each species evolved eating the flowering plants that grew in their own neighborhoods. 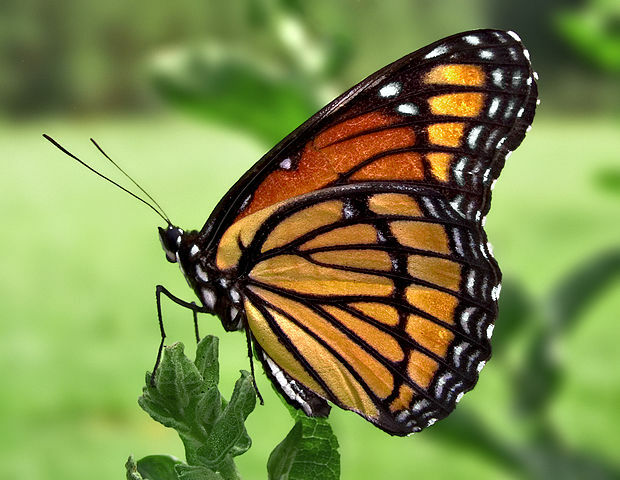 Over tens of millions of years, the butterflies and their favorite plants have lived happily together. But then people came along and mixed up the plants. They brought new plants from other parts of the world and planted them as crops or gardens or road landscaping. Some of these plants grew so well that they started to choke out the native plants. Lots of native plants got bulldozed away so people could build houses or shopping malls or ball parks. Even in the city parks and gardens, the green lawns and flowers and trees were not natives. Trees and flowers growing in California may have evolved in Africa or Australia! But, alas, many of the native butterflies couldn't eat these foreign plants. And the ones they could eat were getting harder to find. So their populations dwindled. Actually, 90% of insect species can eat only the plants that are native to their own regions. But we can help them! You can plant a butterfly garden. It is just a matter of finding out what plants used to grow in your own back yard before people came. You may be able to find a book or website describing the native plants of your location. Then, find a nursery or website that sells the seeds or the plants. You will need nectar plants for the adult butterflies and host plants for the caterpillars. 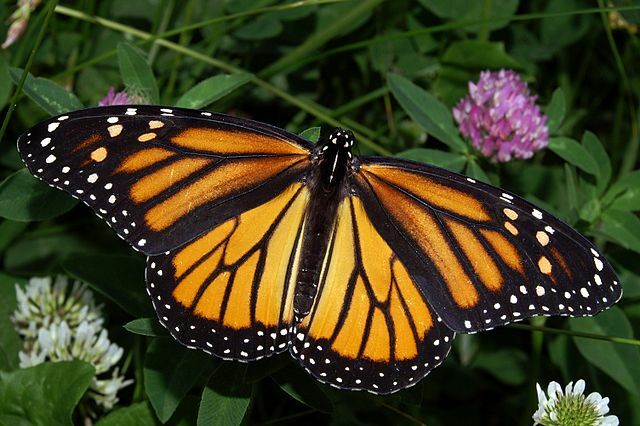 For example, many species of adult butterflies feed on the nectar of milkweed flowers. But, only monarch caterpillars can eat the milkweed plant itself. Milkweed is common and widespread, so monarch butterflies are widespread as well. Make a garden of your local butterflies’ favorite foods and you will have a beautiful garden of flowers and butterflies. And don't cut off those flowers when they look dead. Leave them alone so they can turn into seeds or berries to feed the native birds. Your garden will help the butterflies and the plants and the birds to continue to live happily ever after. We all just want to get along together. Bees are another threatened insect. They are hard workers and we would really miss them if they disappeared. Find out more and make a big bee! What is your state butterfly? 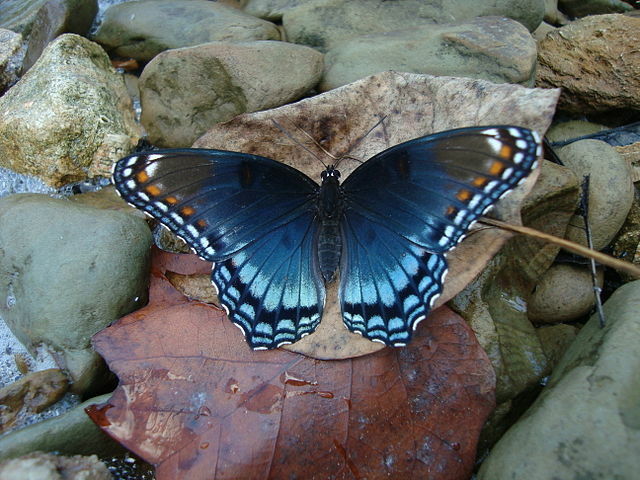 Most states in the U.S. have a state butterfly. Here are the butterflies, with the state or states that have chosen them. Monarch: Alabama, Idaho, Illinois, Minnesota, North Carolina, Texas, Vermont, and West Virginia. Photo by Kenneth Dwain Harrelson, Wikimedia Commons. Colorado Hairstreak: Colorado. Photo by Megan McCarty, Wikimedia Commons. 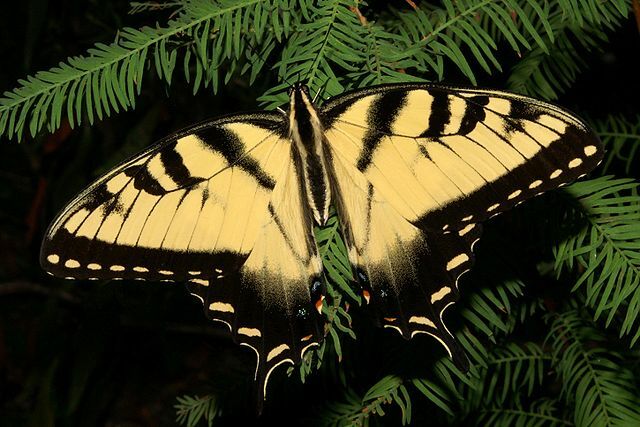 Eastern Tiger Swallowtail: Delaware, Georgia, South Carolina, and Virginia. Photo by HaarFager, Wikimedia Commons. 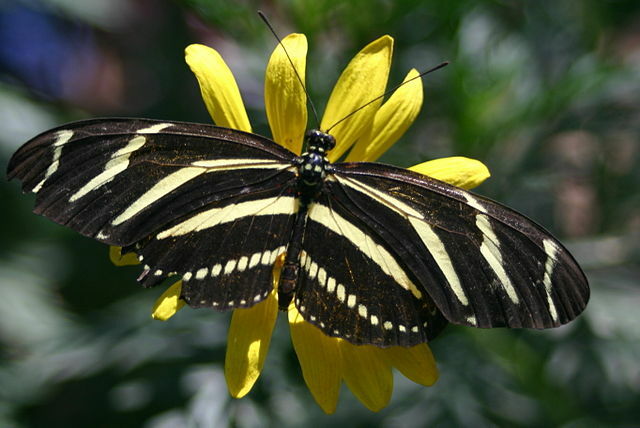 Zebra Longwing: Florida. Photo by Tammy Powers, Wikimedia Commons. Kamehameha: Hawaii. Photo by William Hartgroves, Wikimedia Commons. Viceroy: Kentucky. Photo by PiccoloNamek, Wikimedia Commons. 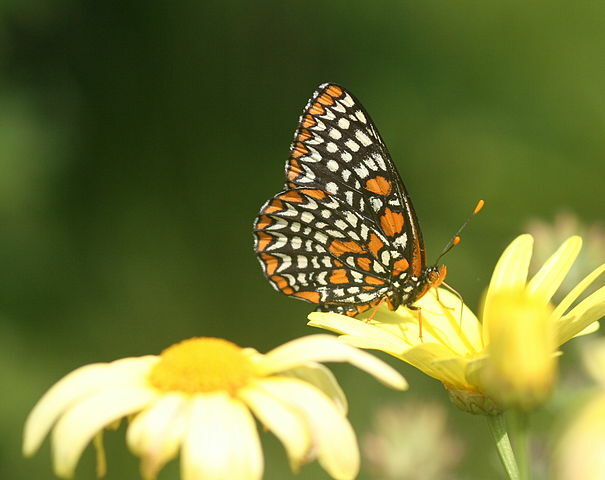 Baltimore Checkerspot: Maryland. Photo by Alison Hunter, Wikimedia Commons. 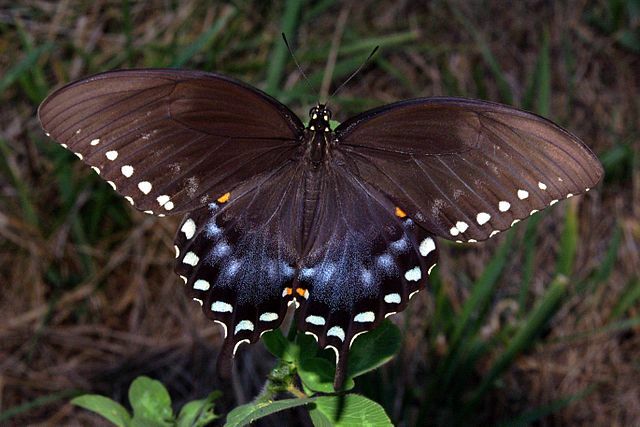 Spicebush Swallowtail: Mississippi. Photo by HaarFager, Wikimedia Commons. 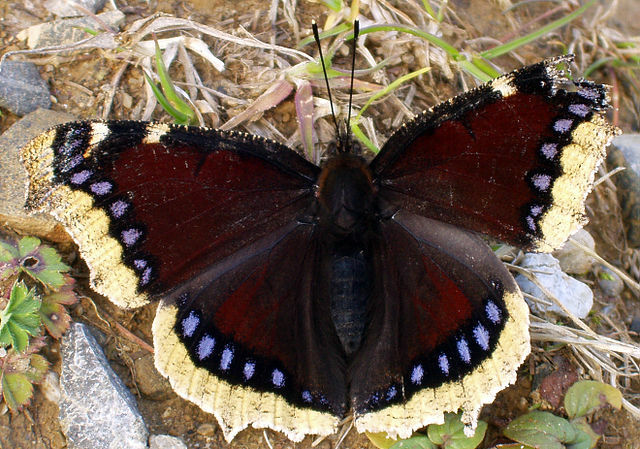 Mourning Cloak: Montana. Photo by Stemonitis, Wikimedia Commons. 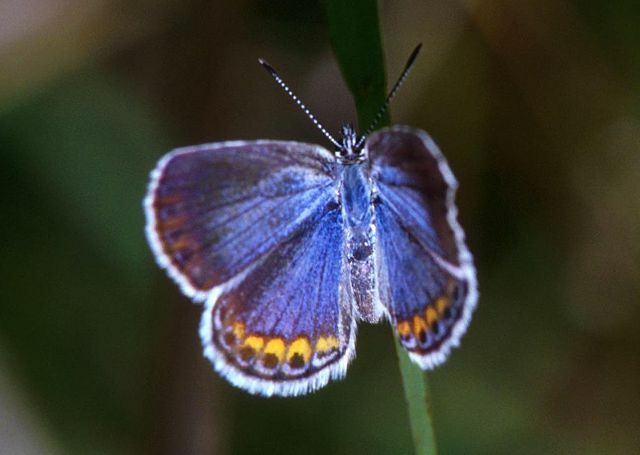 Karner Blue: New Hampshire. Photo by Hollingsworth, J & K, U.S. Fish & Wildlife Service National Digital Library. 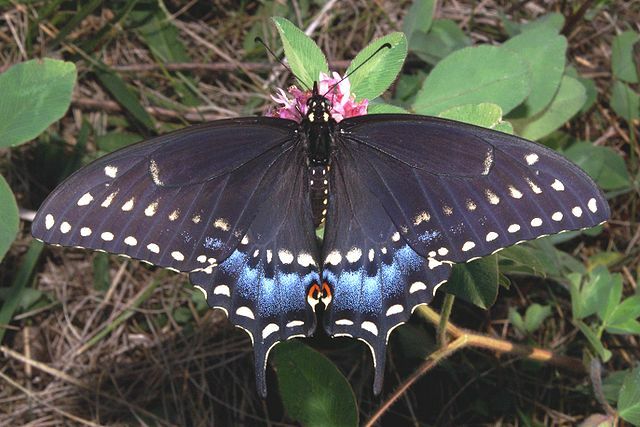 Black Swallowtail: Oklahoma. Photo by Kenneth Dwain Harrelson. 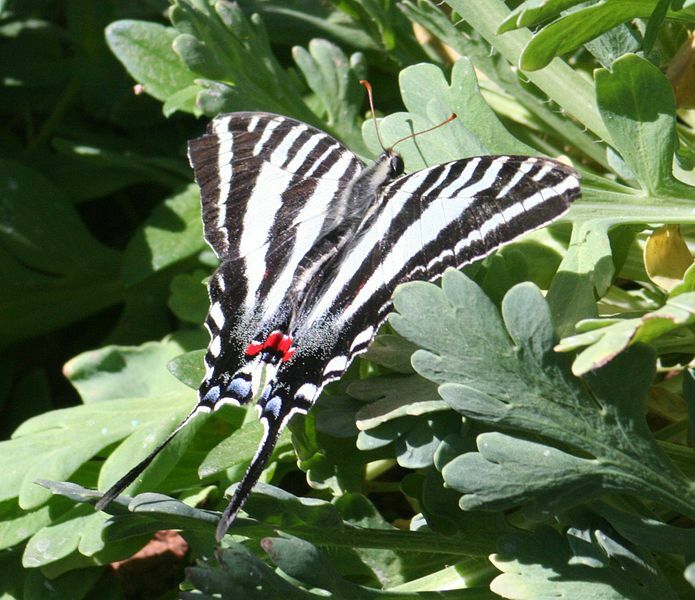 Zebra Swallowtail: Tennessee. Photo by Dave Pape, Wikimedia Commons. 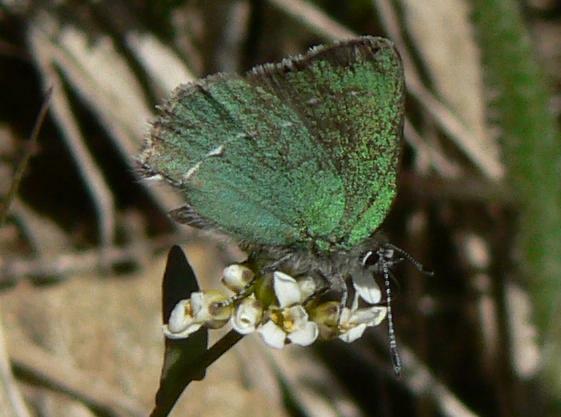 Sheridan's Hairstreak: Wyoming. Photo by Walter Siegmund, Wikimedia Commons.